Hazel was much used in coppicing, as its stems split and twist easily. The stems were used to make fences, walking sticks, wattles (as in wattle and daub) and hurdles. 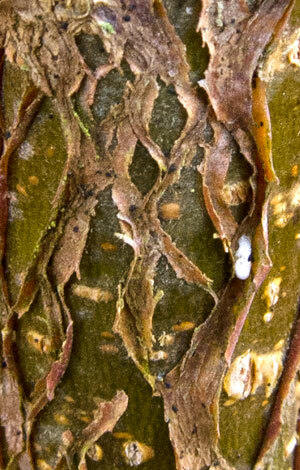 An un-coppiced tree may live for 60 or so years, but a coppiced tree may survive for 500! 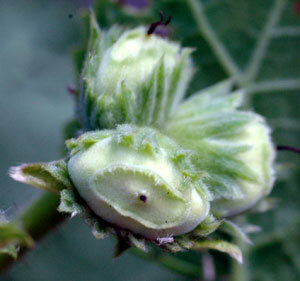 The leaves are arranged alternately around the stem. 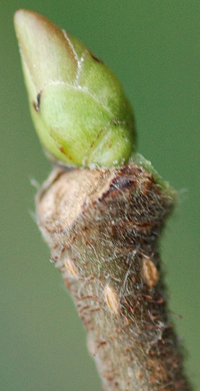 They are almost round in shape but broadest near to the tip (apex) of the leaf. The leaf edge is noticeably toothed. 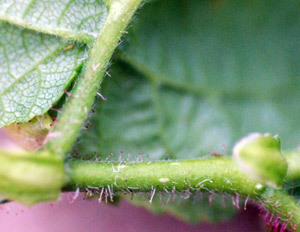 The leaf stalk and underside of the leaf are hairy. 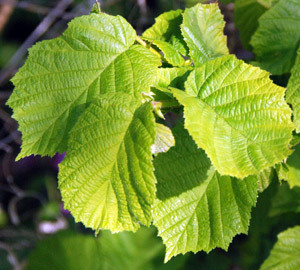 Hazel is a small tree, which usually has multiple stems. The young stems may show signs of peeling (see photo) and have a bronze colour; older ones are a pale brown. 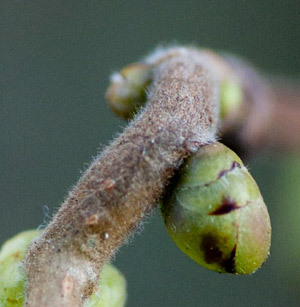 The buds are green, rather fat and oval. 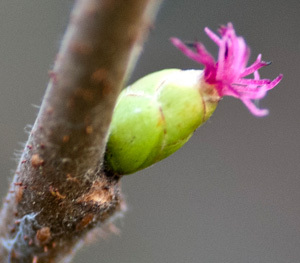 Male and female flowers are found on the same tree. 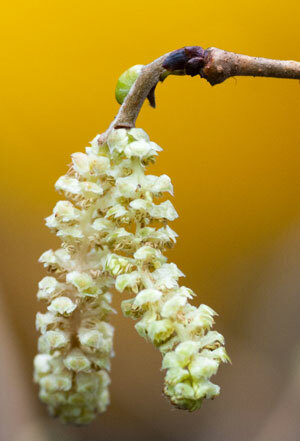 The yellow male catkins open in early spring – sometimes known as "lambs tails". The female flowers appear on the same branches as small pink/crimson tufts. Fertilised flowers may develop into brown nuts in the autumn (though squirrels often eat them before they ripen). Corsican Pine or Black Pine.